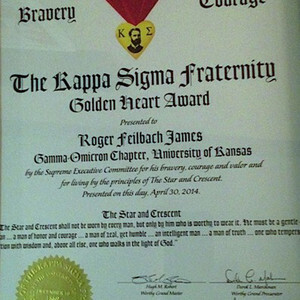 The Kappa Sigma Golden Heart award for Bravery, Courage and Valor was awarded to Gamma-Omicron alumnus Roger F. James, G-O ’42 by the Supreme Executive Committee of the International Fraternity. 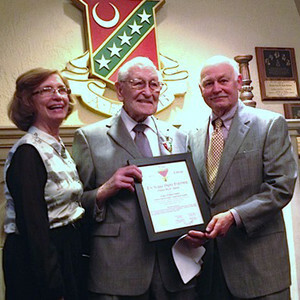 The award recognizes Roger’s heroic actions as a 20 year old tank gunner while serving in France in WWII. 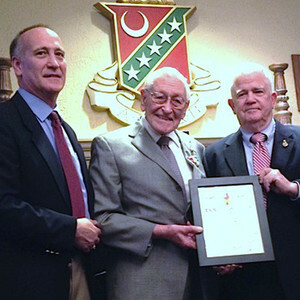 The presentation ceremony on April 30, 2014 was officiated by Colonel Fred K. Green, one of Jackson’s Men and a Past President of Gamma Omicron, Inc. on behalf of the SEC. 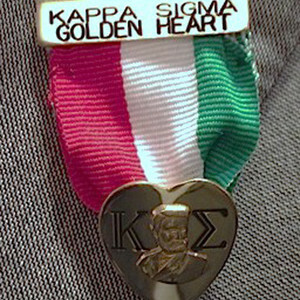 A hearty prime rib dinner at the Chapter House honoring the graduating seniors and the Chapter Man of the Year preceded the ceremony. 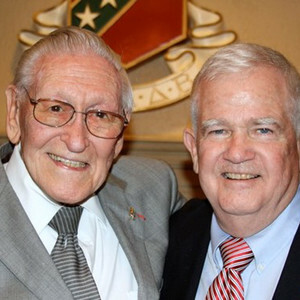 Following his “pinning” the 90 year old “Frat boy” and decorated combat hero delivered inspirational remarks and some excellent advice to the active brothers, alumni and friends gathered in the Crest Room. 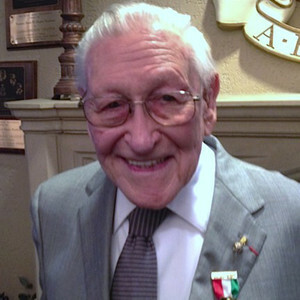 The evening was hosted by David Steen, the current Corporation Board President with special thanks to House Director Patricia Harbaugh and our long-serving Chef, Cindy Post.